This is a photograph taken in 1922. 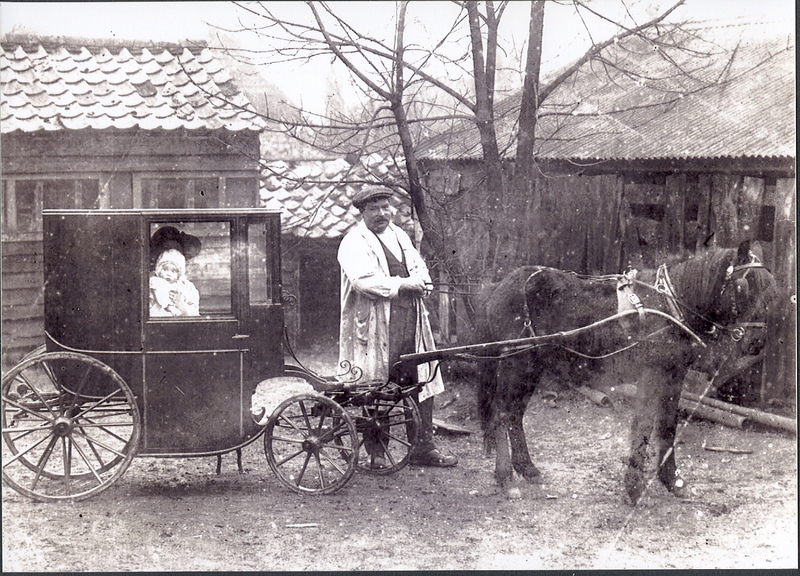 It shows Joseph Day, with his horse and his wife outside their family general store in Queen Street, Hitchin, Herts. The street was cleared as a slum fairly soon afterwards and the Brougham, minus the top half, was used to transport churns of home made ice cream packed round with ice to sell at fetes in the area.